Failure of care: Submissions opened on January 18 for the Aged Care Royal Commission and thousands of submissions have already been made. SOME of Australia’s largest aged-care providers have submitted tens of thousands of incident reports of abuse, neglect and poor care to the royal commission into the quality and safety of aged care that opened on Friday (January 18). Amongst the flood of information received by the commission is evidence that some elderly nursing home residents have been doped for years to manage their behaviour. The commission was in part sparked by the appalling treatment of residents at Adelaide’s now closed Oakden nursing home. Announcing the inquiry into the $17 billion-a-year aged-care sector last September, Prime Minister Scott Morrison warned Australians to “brace ourselves for some pretty bruising information about the way our loved ones have been treated”. Commissioners Richard Tracey and Lynelle Briggs will examine the quality of care within the aged-care sector, the extent of any substandard care, young people with disability living in aged-care homes, how the system is meeting the needs of people with dementia (who make up about half of all aged-care residents), and to consider the sector’s future needs. While the largest aged-care providers have already responded to data requests for incidents of “substandard care” during the past five years, smaller providers have been given a deadline of February 8 to respond with information. The commission is also interested in hearing the personal experiences of people living in aged-care facilities and has invited public submissions at least until the middle of this year. Brisbane-based chairman of the Global Ageing Network (GAN) Marcus Riley said, like most Australians, he was alarmed to see hidden-camera footage shown on ABC’s Four Corners program that revealed shocking abuse and neglect in nursing homes. Mr Riley, chief executive officer of BallyCara that provides retirement living, residential aged care and community care in south-east Queensland, said his own organisation was compiling information for the royal commission, and he hoped to provide input that could reshape aged-care culture for the better. 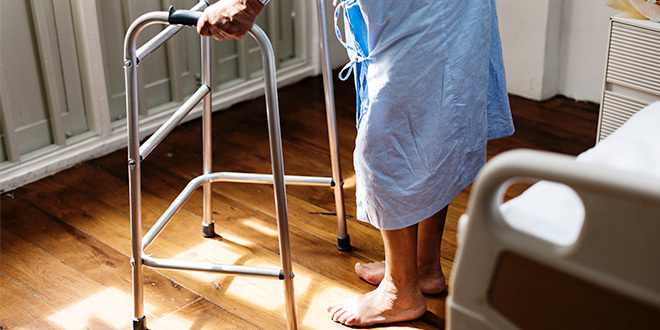 He’s called for an end to a “cookie cutter” approach to providing aged care in Australia, and a culture where abusive behaviours could be instantly called out by staff, residents and families. “We need a system that enables each person to age and access care and services that suits them individually, whether that’s in their own home in the community receiving care and support, or someone who is in a residential care facility,” Mr Riley said. The BallyCara CEO said it was important the commission did not just look at residential aged care in isolation, but should examine connected issues in social policy, the legal and judicial system, and the economic impacts of pensions, health funds and primary health networks. “It’s an all-of-aging approach that is required for current and future generations of older people – we need a broader focus encapsulating all those facets that impact on how our society is going to age,” Mr Riley said. During commission hearings it is expected that aged-care advocates and doctors will try to highlight the use of anti-psychotic drugs and who should be accountable for prescribing them. Australian studies show high numbers of residents with dementia are strongly sedated using drugs such as risperidone or olanzapine. The drugs have been linked to increases in strokes, falls and death. Mr Riley is optimistic that highlighting the drug issue could help reduce the use of inappropriate medications. “Certainly we’ll start to see a decrease in the use of those sorts or drugs,” he said. “We want to be focused on creating environments and maintaining practices that support people individually and minimise or eliminate dependency on inappropriate medications or inappropriate practices. “It takes a collaborative approach where care providers, general practitioners, pharmacists develop the best care plans in supporting individuals. “Aged care is a team sport.